Explore the marked differences in women’s lives in this region. See how Hindu and Buddhist women live in Nepal. Explore these lives against the magnificent backdrop of the Himalaya. 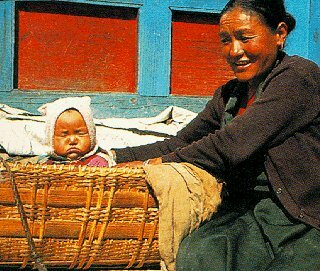 Travel picture of Mother and child in Nepal. I am looking for an interesting and meaningful way to celebrate my 50th birthday. Through a Woman’s Eyes sounds like something up my alley. Can you send me some more info please Travel dates, length of trip, itinerary, etc. Thank you!